President Donald Trump announced new tariffs on $50 billion worth of Chinese goods on Thursday. "China does not want a trade war with anyone," the Chinese embassy in Washington, DC, said. "But China is not afraid of and will not recoil from a trade war." 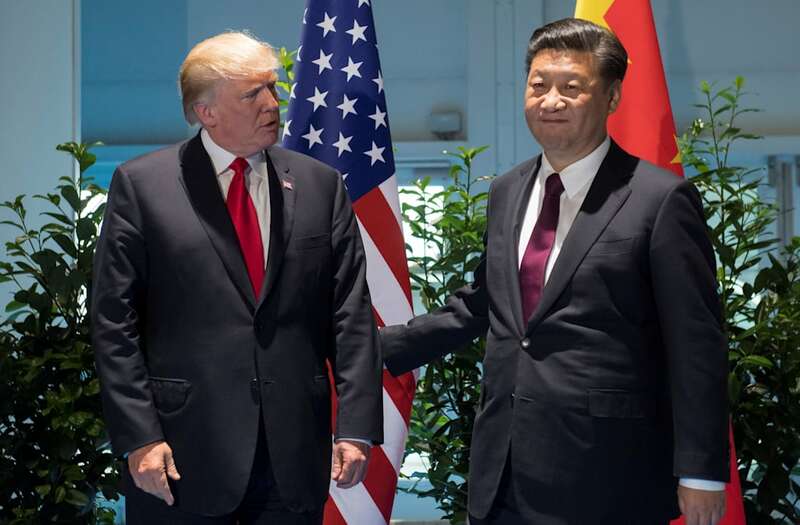 The Chinese government blasted President Donald Trump's announcement on Thursday that the US will impose new tariffs on imports from China. The tariffs, which act as a tax on imports, will apply to goods worth about $50 billion annually and hit industries from aerospace to pharmaceuticals. Additionally, the crackdown will limit certain types of Chinese investment into the US. "China does not want a trade war with anyone," the Chinese embassy in Washington DC said in a statement Thursday. "But China is not afraid of and will not recoil from a trade war. China is confident and capable of facing any challenge. If a trade war were initiated by the U.S., China would fight to the end to defend its own legitimate interests with all necessary measures." Trump justified the move as a response to the theft of US companies' intellectual property by the Chinese government. The report announcing the tariffs cited instances of US companies being forced to move patents to China or partner with a Chinese firm in order to do business in the country. Hua Chunying, a spokesperson for China’s Ministry of Foreign Affairs, also took a tough stance on a possibility of a trade war on Wednesday. According to reports, the Chinese are planning retaliatory tariffs against a series of key agricultural products from the US: soybeans, sorghum, and live hogs. In 2017, the US sent $13.3 billion worth of those three goods to China. Trump told reporters during the announcement of the tariffs that China and other countries had taken advantage of the US for too long and the president's goal was to reduce the $375 billion trade deficit with China. Zhang Xiangchen, China's ambassador to the World Trade Organization, told Reuters on Thursday that China is preparing action against the US in response to the new tariffs and other tariffs Trump recently put in place. "My colleagues in the capital have been preparing those options and this response," he said. "We still cherish the multilateral trading system very much, although there’s a flavor of trade war in the air."